The chancellor has used his budget to outline plans to help the North Sea oil and gas industry. Philip Hammond will investigate the use of tax incentives to make it easier for operators to sell oil and gas fields, helping to keep them productive for longer. A panel of experts will be set up to examine the issue. A discussion paper on how to help the industry will also be published, Mr Hammond told the Commons. The Treasury said the moves would further help a vital industry that meets around 50% of the UK’s primary energy needs. It said the measures would build on “unprecedented support already provided to the oil and gas sector through £2.3bn packages in the last three years”. The budget included a £350m funding boost for Scotland as part of a package of funding for the devolved nations. In terms of the North Sea, Oil and Gas UK had called for more to be done to “facilitate the transfer of assets” to stimulate additional investment. In its Business Outlook report published on Tuesday, the industry body said it was “continuing to ask the Treasury to revise the tax treatment of decommissioning liability in support of this”. The report warned of a major drop-off in production without additional capital investment, but said there were some signs of optimism with confidence “slowly returning to the basin” despite the global slump in oil prices. Derek Mackay, the Scottish government’s finance secretary, had also written to the chancellor calling for “action to improve decommissioning tax relief, ensuring that the right assets are in the right hands”. So what are these “tax breaks?” Well, the commitment to decommissioning was always a joint liability between the operators and the government, both of whom have benefitted from the bonanza. The operator would stump up the cash and the treasury would pay back some of the tax paid over the years. But it was always assumed oil fields would stay in the hands of big players like BP and Shell until the bitter end. A lot of fields aren’t now making enough money for those oil majors and they want rid. But there are new kids on the block with the skills and commitment to produce the last few drops of black gold who would consider buying fields and keeping them going. But there’s a blockage. When it comes to decommissioning the responsibility shifts to them. Because they’ve not been around for long, they’ve paid a lot less tax than the big boys. And because they can only claim from the Treasury what they’ve already stumped up, much more of the liability shifts from the government to this small operator. What the panel will work out is how the full value of tax refunds, which would have been paid to the old operator, can shift to the new one. That move should prompt more of these older fields to be sold and not decommissioned early. It shouldn’t cost us, the taxpayer, any more and potentially because it keeps the oil fields producing, it should even benefit the treasury. Responding to Mr Hammond’s announcement, Mr Mackay said it was “encouraging that the UK government has finally listened to the Scottish government about the failings of the decommissioning tax regime”. Scottish Chambers of Commerce chief executive Liz Cameron said the move was a “welcome first step” towards ensuring that the North Sea “sustains its economic contribution in the long term and maximises recovery in the nearer term”. The Unite union’s Scottish secretary, Pat Rafferty, said: “The chancellor’s expert panel is a small step in the right direction, but it’s vital that workers have a seat around the table. A review of North Sea tax rules has been opened to find ways of spurring fresh investment in UK oil and gas assets and spreading the multibillion-pound cost of decommissioning between industry and government. Philip Hammond, UK chancellor, said in his Budget speech on Wednesday that an expert panel would examine ways of making it easier to buy and sell North Sea oil and gasfields, with the aim of keeping them in production for longer. The announcement reflects the Treasury’s focus on how to wring as much as possible out of the remaining North Sea resources as decommissioning costs become an increasing burden for industry and taxpayers. “As UK oil and gas production declines, it is absolutely essential we maximise exploitation of remaining reserves,” Mr Hammond told MPs. Oil and gas companies are entitled to tax relief on the cost of plugging wells and dismantling infrastructure when fields cease production. However, the value of these benefits depends on how much tax the operator has paid during the life of the asset. FT verdict on the UK Budget Play video Industry leaders say these rules deter the trading of oil and gasfields because an acquiring company cannot claim relief on taxes paid by the previous owner. The review announced in Mr Hammond’s Budget will look at options for reform, including demands for the full value of tax relief to be transferable from one owner to another. Read more Budget 2017: summary and key points Highlights include economic growth upgraded in the near-term and business rate measures Removing the blockage to dealmaking has become an increasingly pressing issue as many older North Sea fields approach the end of their productive lives while producers struggle with high costs and relatively low oil prices. As the UK faces declining oil and gas production in the North Sea, the chancellor has unveiled new measures to review tax relief and maximise the exploitation of remaining reserves. In his Budget, chancellor Philip Hammond said a new advisory panel of industry experts will be established and a formal discussion paper will be published on how tax can assist sales of North Sea oil and gas fields. 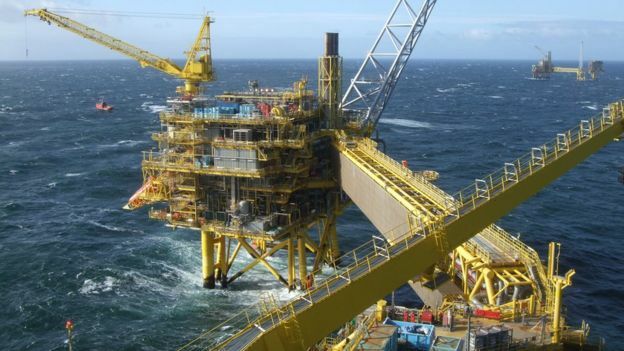 “While not a complete overhaul, it is hoped these measures will alleviate the current bottleneck around the transfer of mature fields in the North Sea to late life specialists,” said Chris Bates, a partner of global law firm Norton Rose Fulbright. However, Stewart Hosie, MP for the Scottish National Party, said the announcement shows a failure to act and demonstrates “an alarming lack of urgency”. Recent deals in the North Sea highlight the opportunities there, but more transactions could be achieved if the tax issue is resolved, said Deirdre Michie, chief executive of Oil and Gas UK. The industry is slowly emerging from a challenging period, and it’s crucial that the North Sea attracts investment now to sustain production and stimulate new activity, she said. Callum McCaig, energy spokesman for the Scottish National party, attacked the UK government for moving at a “glacial pace” on an issue highlighted by industry for years. “The fact the chancellor is just getting around to this now shows an alarming lack of urgency,” Mr McCaig said. Some deals have taken place despite the tax obstacles. Royal Dutch Shell in January sold for $3.8bn assets accounting for more than half its UK production to a private equity-backed company called Chrysaor. Shell agreed to keep a quarter of the estimated $3.9bn decommissioning liability related to the fields being sold. Copyright The Financial Times Limited 2017. All rights reserved. You may share using our article tools. Please don’t cut articles from FT.com and redistribute by email or post to the web.